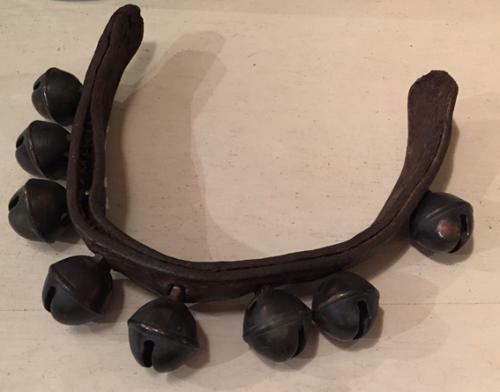 19th Cent Pony Collar of 8 Crotal Bells. There are 2 bells missing. These could easily be added or wired on once a suitable match has turned up if required.